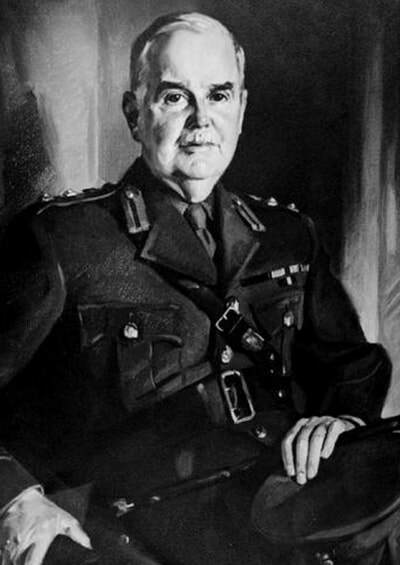 Major Charles Kenneth Rosebrugh ED promoted Lieutenant-Colonel and appointed Commanding Officer. He was born 11 July 1893 in New Westminster, BC. He enroled for the First World War on 2 May 1916 and served in France and Belgium from 14 March 1917 to 7 June 1917 and from 14 April 1918 until 30 March 1919. He has been awarded the British War Medal and the Victory Medal. Major Charles Rosebrugh awarded the Efficiency Decoration. In accordance with General Order No. 37, the 15th (Vancouver) Coast Brigade RCA was renamed 15th (Vancouver) Coast Regiment, RCA with effect 1 June 1942. 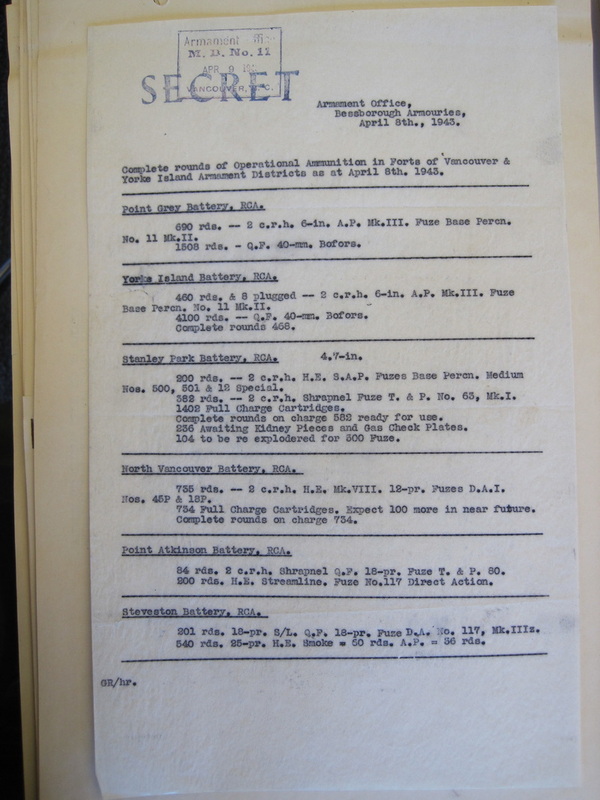 The 31st Heavy Battery RCA, the 58th Heavy Battery RCA and the 85th Heavy Battery RCA are renamed the 31st Coast Battery RCA, the 58th Coast Battery RCA and the 85th Coast Battery RCA also with effect 1 June 1942. 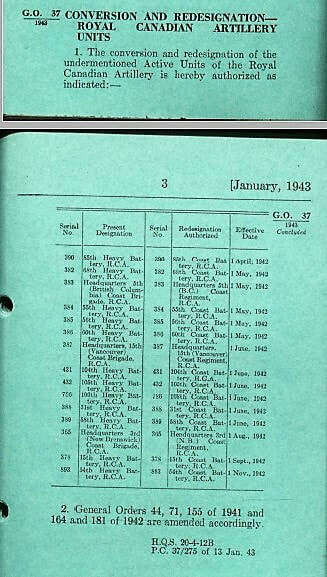 As the tide of war turned against Japan it was decided to reduce the examination service to one patrol boat (XV-North) and the Point Atkinson gun. This was done on December 29th, 1943. 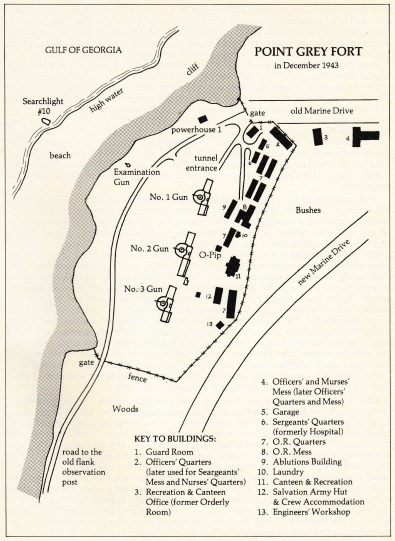 The burden of Vancouver's defence fell increasingly on the Point Grey fort and the 58th Coast Battery. 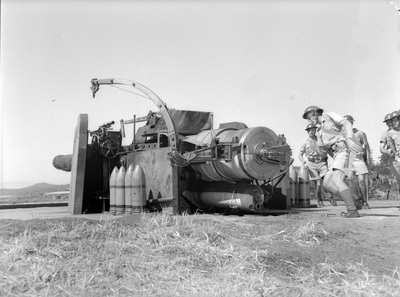 Plans to add a rapid-firing, twin barrel 6-pounder gun on the south side of the First Narrows were shelved and the existing installations were gradually reduced. 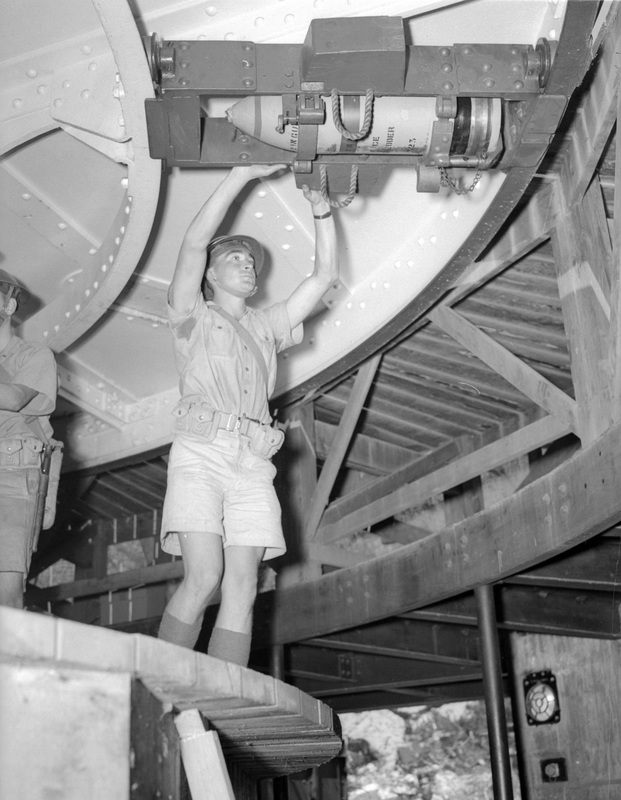 After August 1943 there was only a skeleton detachment at Stanley Palk to maintain the guns. Under the reduced examination service, Narrows North was only to challenge large ships and naval vessels that had not been cleared by the one remaining patrol boat. 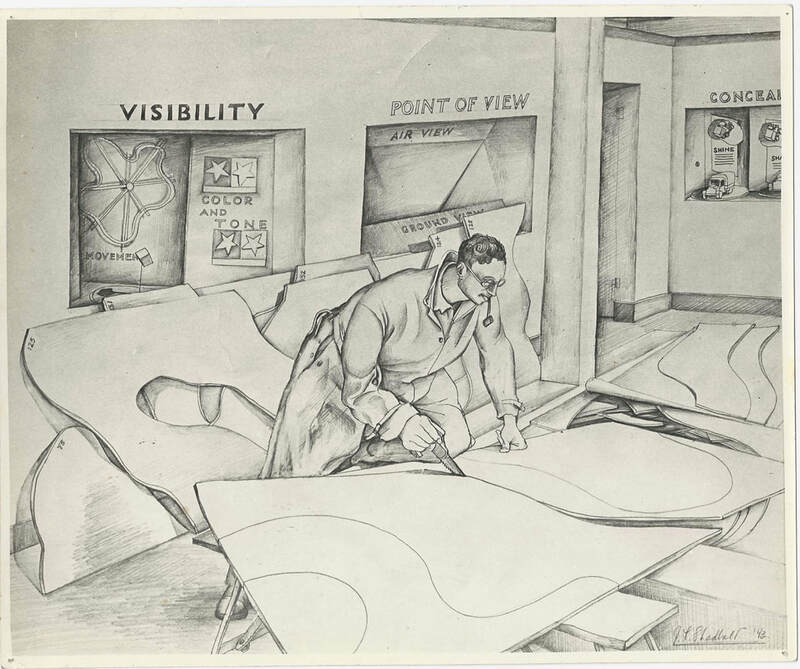 Garrison duty was certainly more comfortable in 1943-1944 than it had been in the first years of the war and, strange as it might seem, the conscripts received better treatment from their officers and NCO's than from certain civilians. 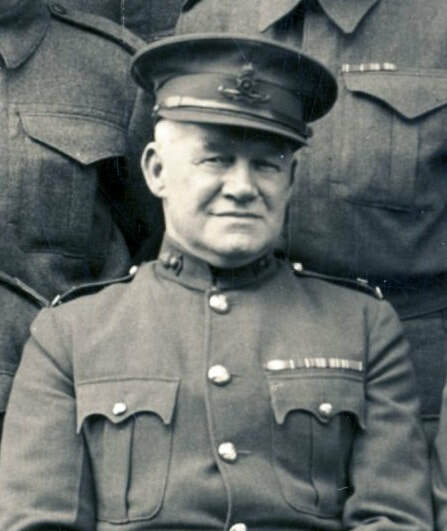 Old sweats who were no longer in the armed forces dismissed the conscripts as "feather-bed soldiers" and "Mackenzie King's Commandos," implying that they were simply cowards. The contemptuous term for the N.R.M.A. men that was most often used by the public was "zombies." Zombies were a feature of contemporary horror films; they were corpses resurrected to function as soulless labourers by Voodoo magic. 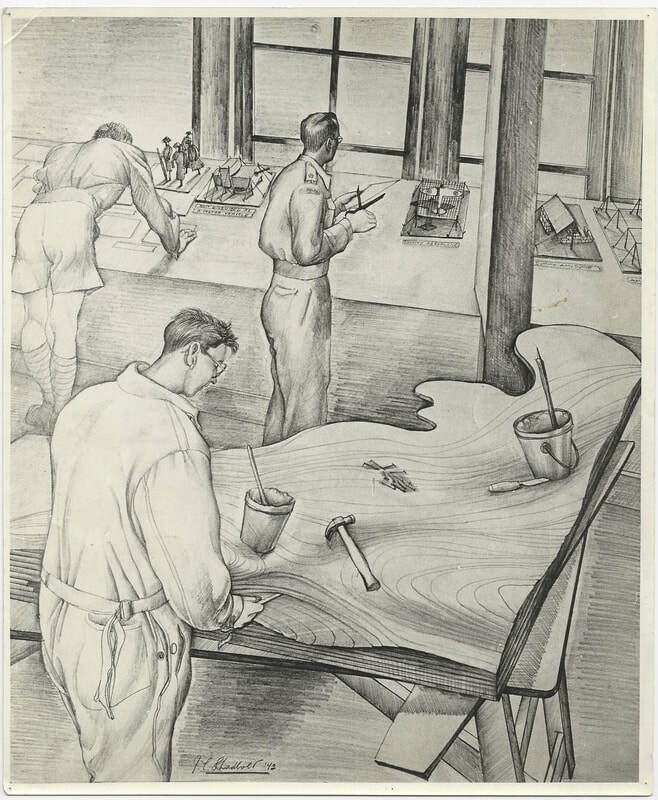 "Conchie" was the epithet applied to conscientious objectors who were excused from military service. Those in authority over the conscripts were more tolerant; they knew that abusive treatment would make their own job more difficult. 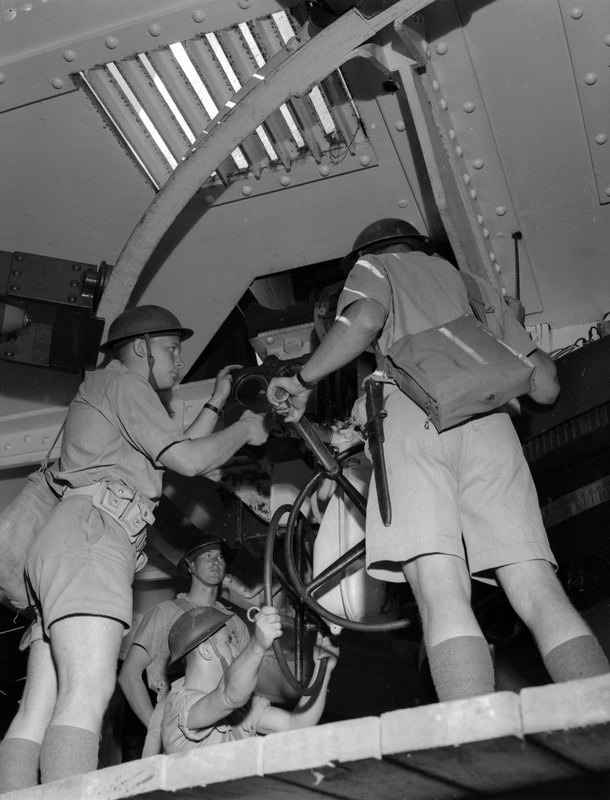 Part of their job was to encourage the home defence troops to volunteer for service abroad. 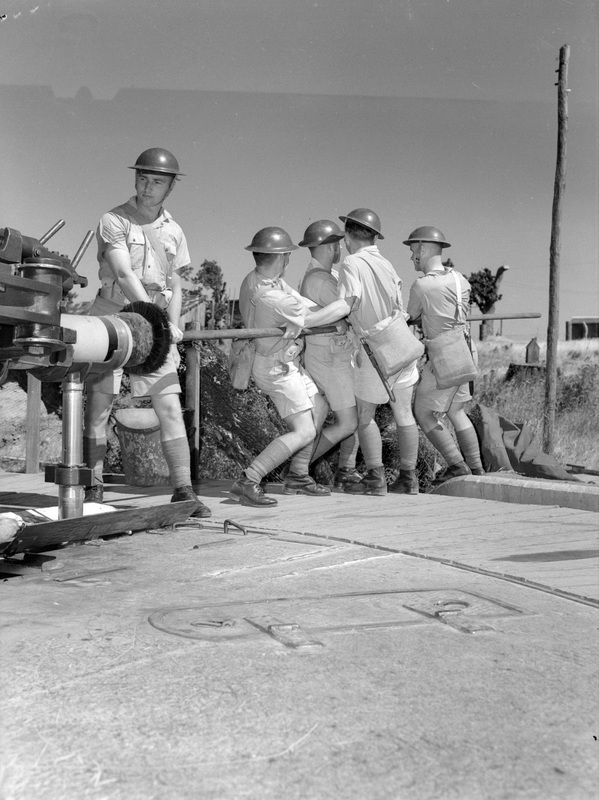 After the Canadian army became involved in the Italian campaign in July 1943 the demand for reinforcements increased. The soldiers in Canada, replaced by N.R.M.A. men, helped to supplement the voluntary enlistments available as reinforcements. With the Allied invasion of Normandy in June 1944 these men were insufficient to replace the losses, especially in the infantry. Pressure grew to strip the home defences of all manpower, whether volunteer or not. Canada's allies had accepted conscription for overseas service and her insistence of having a volunteer army in Europe seemed unrealistic. The N.R.M.A. soldiers were especially valuable since most were already trained and could go into action at once. Those in the coast artillery had not only been instructed in gunnery the Vancouver defences were an artillery school of sorts - but they were also trained in basic military skills, field tactics and the use of sma1l arms. The gunners were to be able to defend themselves against enemy landing parties. 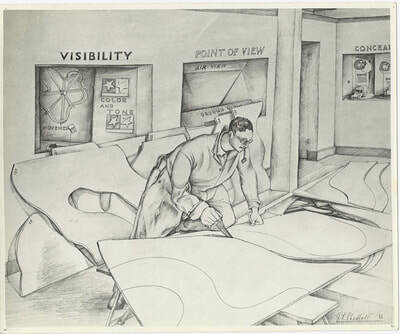 From 1943 onward the N.R.M.A. men were continually asked to "go active." Officers appealed to the conscripts to "see their duty" and to volunteer for unrestricted service. Volunteers wore a "general service" patch on the sleeve that distinguished them from home defence troops. The American propaganda film that offended the Point Grey gunners was likely a part of this campaign. In late June, after the Normandy landings, combat veterans spoke to the men at Point Grey. One was a former NCO of the 15th Coast who had served with the American paratroops in Italy; the other was an Australian major who related his war experiences in the Pacific. 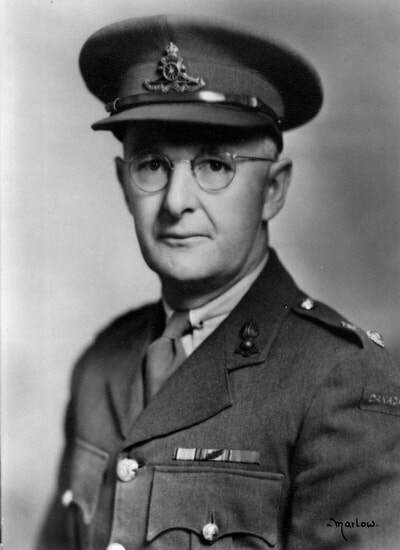 Harry Mangles, who served as an NCO in the Vancouver Yorke Island forts throughout the war, believes that about half of the conscripts eventually converted to active service. some of them, he recalls, were very good soldiers. 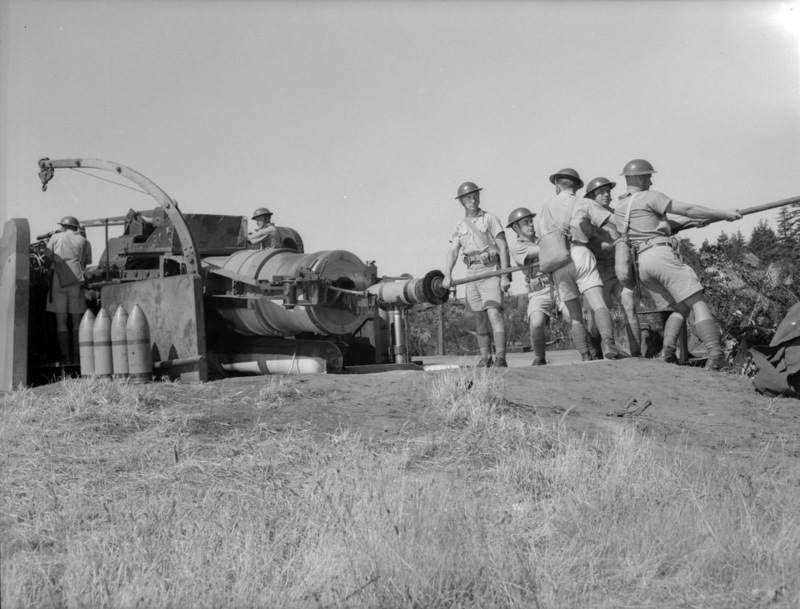 The following photos are from Vancouver Archives from 1943 labelled as Army training - Big Guns. Location is labelled as British Columbia so they may well be from Vancouver Island. Recent discussions have led to a connection between a School of Camouflage at UBC and 15th (Vancouver) Coast Regiment RCA. 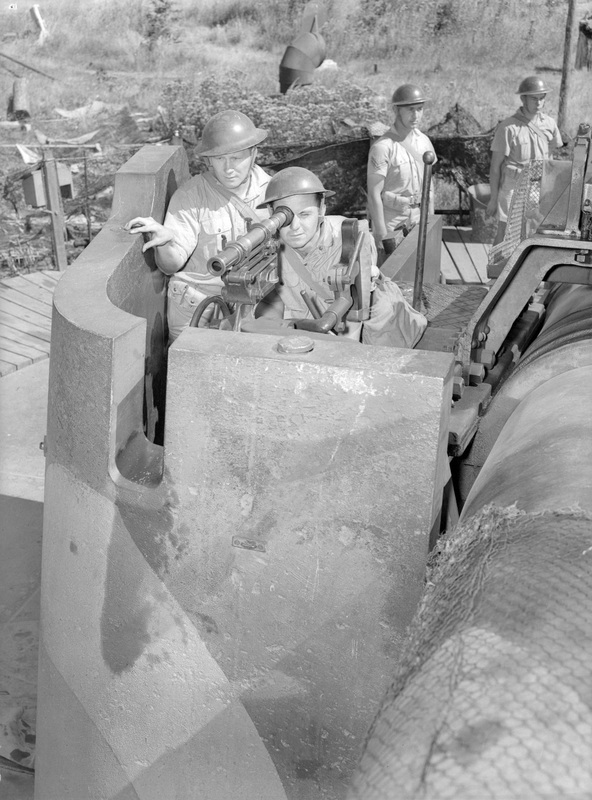 The camouflage has long since disappeared from the Point Grey Battery and the Stanley Park Battery has been totally dismantled. 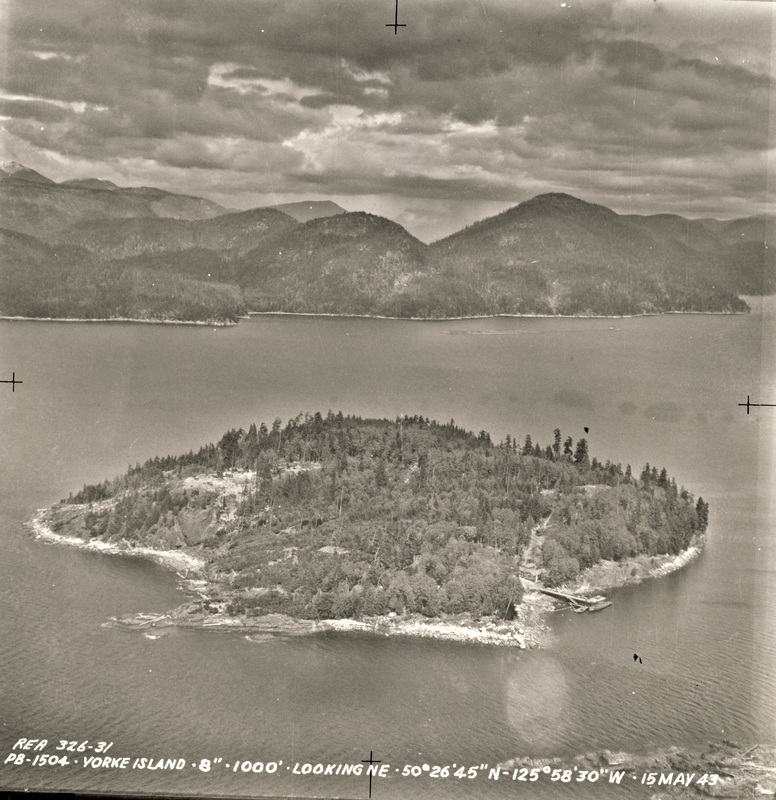 However, there are traces still visible on Yorke Island. It appears that the school was responsible for some of that war time work. 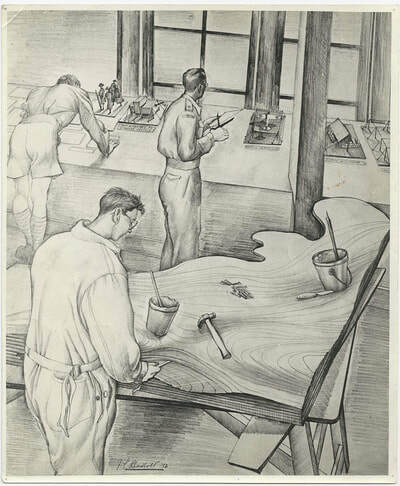 Nick Orchard's father, Robert, was one of the artists involved in that work and was captured in wartime sketches by Jack Shadbolt, a Canadian war artist, in 1943. 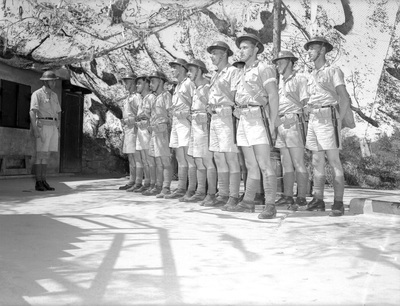 Sergeant McIntosh was taken on strength with 58th Heavy Battery 15th (Vancouver) Coast Brigade RCA on 22 September 1939, appointed Provisional Sergeant on 25 October 1939 and Provisional Battery Sergeant Major on 1 December 1939. 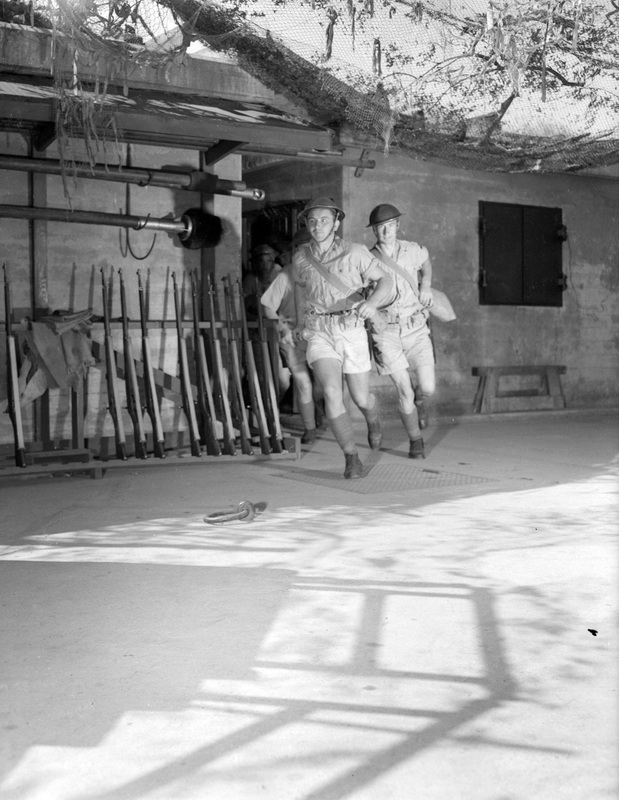 He reverted to substantive Sergeant on 6 February 1940 and then to the rank of Gunner on 10 April 1942 prior to being taken on strength with 5th Medium Battery RCA and, once again, being appointed an Acting Sergeant the following day. He disembarked in the United Kingdom on 24 June 1942 with 3 Medium Regiment RCA. He died 5 January 1943 from gas gangrene following an appendectomy and is buried in Brookwood Military Cemetery, Surrey England . He was awarded the ​Defence Medal, 1939/1945 star and the Canadian Volunteer Service Medal. He left behind a wife and son. ​Served with 6th Australian Field Brigade, taken on strength with 11th Battery 1st Anti-Aircraft Regiment RCA on 1 September 1939 with rank of Bombardier, appointed Lance Sergeant on 1 October 1939, reverted to Gunner on 1 November 1939, transferred to 15th (Vancouver) Coast Brigade RCA on 12 December 1939, attached to 21st Provost Company from February to September 1941, appointed Acting Lance Corporal 1 April 1942, ceases to be appointed Acting Lance Corporal on 17 June 1942, discharged as physically unfit for further military service on 7 October 1942, deceased 24 December 1943, buried at Mountainview Cemetery. 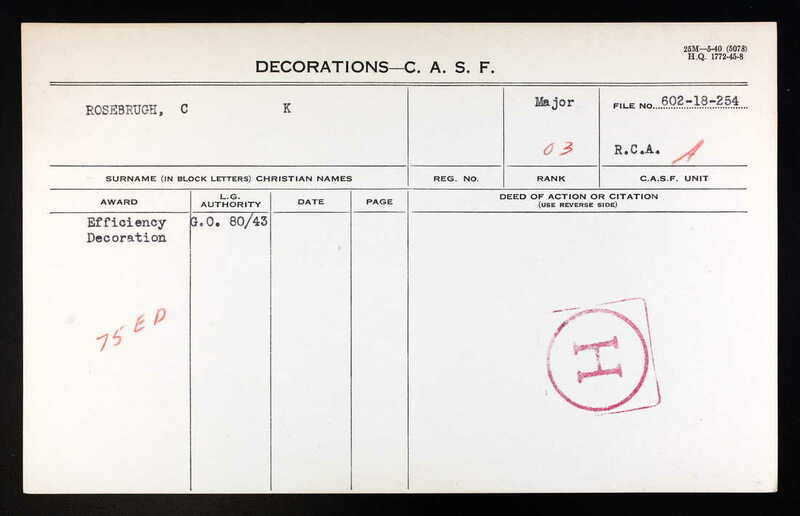 Lance Sergeant Richardson was taken on strength with 15th (Vancouver) Coast Brigade, RCA as a Gunner in 1940 where he was posted to 58th Heavy Battery. He was appointed Lance Bombardier with pay in 1940, qualified as a clerk and reposted to Headquarters 15th (Vancouver) Coast Brigade, RCA. In 1942 he was made Acting Bombardier without pay, followed by Lance Bombardier and finally Lance Sergeant. He was admitted to Shaughnessy Military Hospital in February 1943 and died on 30 August 1943 from military tuberculosis constrictive pericarditis. He is buried at Mountain View Cemetery.